n the mid 1970's Daniel Winkler took his abiding love for all things frontier and transposed it into an art form. By 1988 Mr. Winkler had taken his passion for the lifestyle and equipment of an early American frontiersman and transformed it into the practicality of a modern American blade-smith. Creating blades to exceed expectations, and outlive the competition, Daniel Winkler's name is associated with excellence and quality craftsmanship. 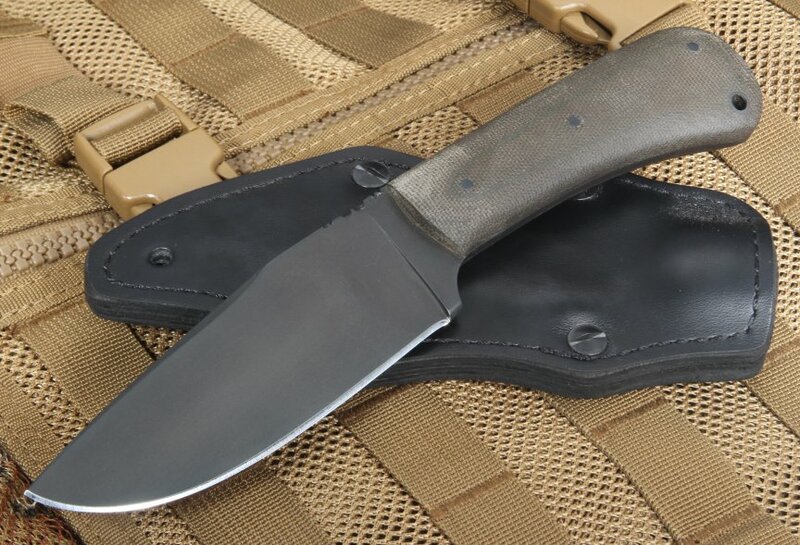 Each knife endowed with the Winkler name carries with it the burden of high expectations and quality standards that knife lovers have come to expect. The compact 5-inch 80CRV2 drop-point Carbon steel blade provides plenty of cutting area without sacrificing versatility. Complete in a black Caldwell finish that reduces the risk of rust and eliminates glare. 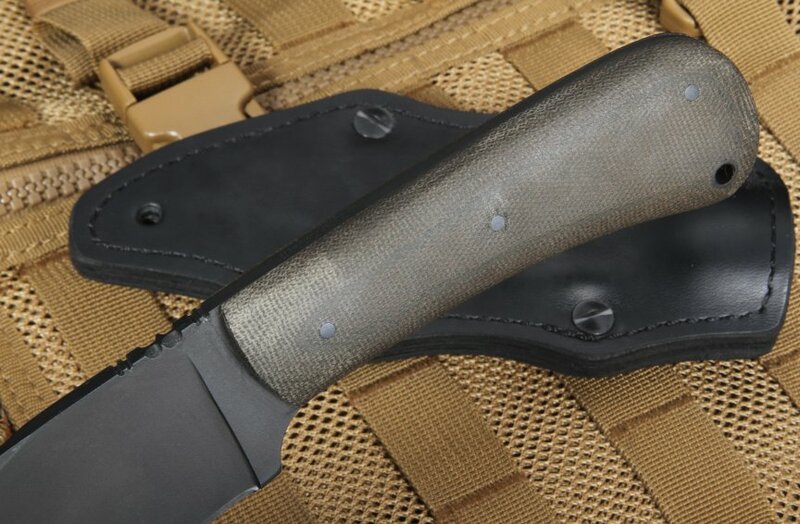 The Winkler hunting knife is a resilient, universal companion. Perfectly suited for hunting, fishing, camping, EDC, and everyday utility needs. 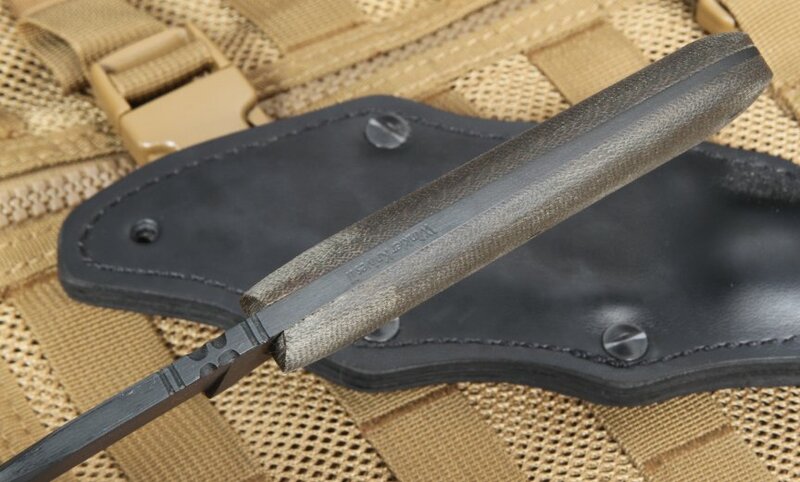 The sculpted green Micarta full-tang handle brings the total length to 9.625 inches, and the weight to a hefty 7.9 ounces. Allowing for leverage on larger projects, and a firm grip for precision tasks. 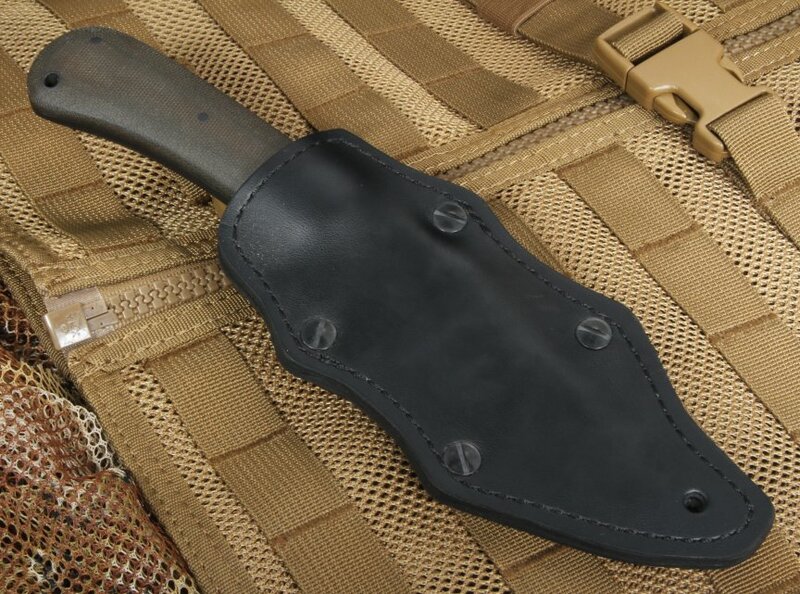 The blade also comes with a Kydex-lined custom fitted leather sheath, a metal belt clip, a leather safe attachment, and a behind the waistband loop for a multitude of carrying preferences. Overall the Winkler Hunting knife is a perfect utility, defense, and every day carry knife. A great option for anyone seeking a lifetime bladed companion.